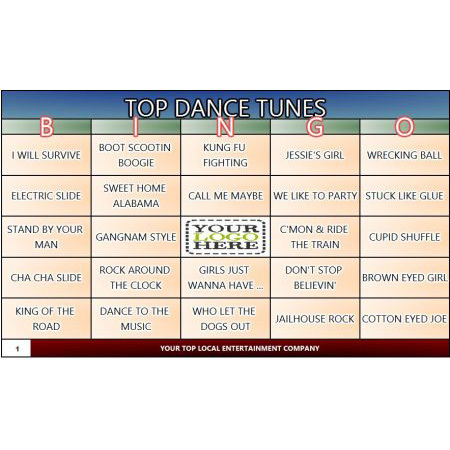 The trivia "Party Pack" of games is the ideal collection of legacy software titles that emulate long-standing TV games shows like Jeopardy™, Family Feud™, Wheel of Fortune™, and Hollywood Squares™. 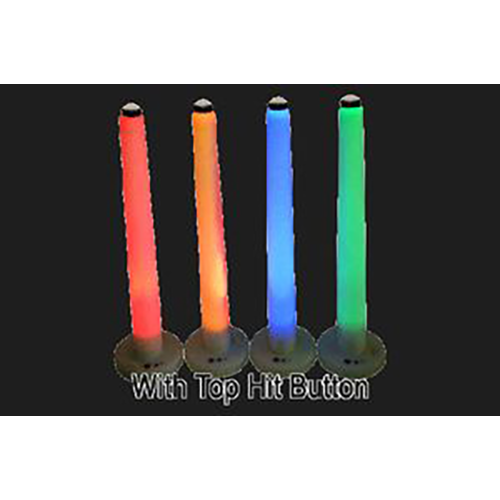 Our versions of these games allow for significantly greater customization for a wide variety of industries, number of participants, and audience interaction. 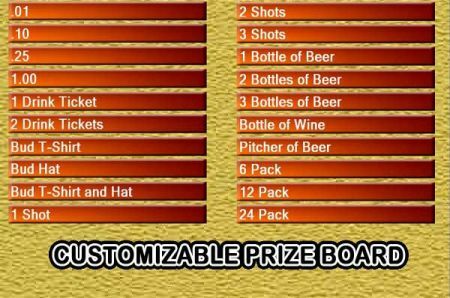 More Details, and Buy Trivia "Party Pack" of Games (New Purchase) Please note: The trivia "Party Pack" of games is included, at no cost, with all DigiGames computer controlled game show systems. 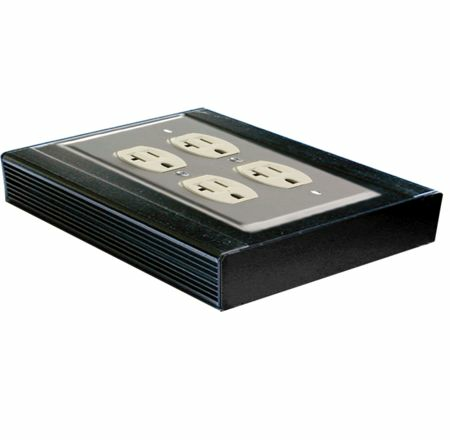 Works with all of DigiGames hardware systems. Compatible with Windows XP, and newer. 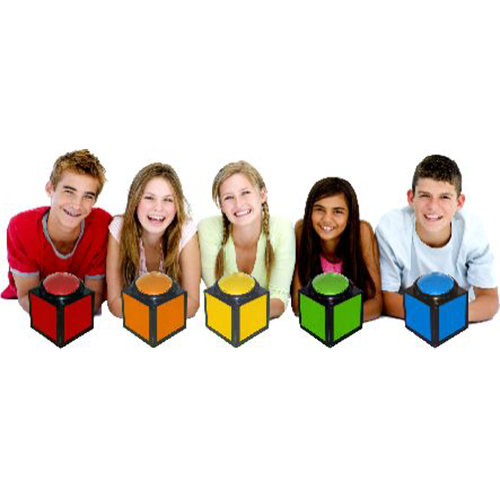 Kids Trivia Questions - Are you Smarter than a 5th Grader? 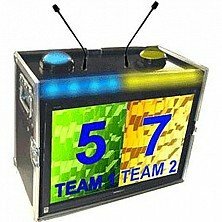 QuizMaster is our "throw in the kitchen sink" program when you need an attractive leaderboard or scoreboard. QuizMaster does almost anything you can think of to make it simple for you to invent your own games. QuizMaster is an easy-to-use score tracker with support for 2 to 50 players or teams. It contains all the necessary tools to invent your own games with the ability to completely customize fonts, font colors, backgrounds, logos, sound effects, timers, scoring methods and much more! 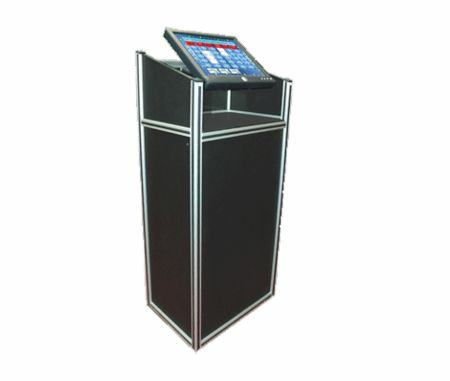 More Details, or Buy QuizMaster (New Purchase) Please note: QuizMaster is included, at no cost, with certain hardware purchases. 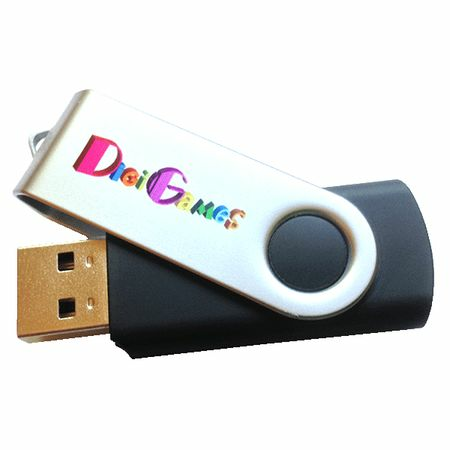 Works with all of DigiGames hardware systems. Compatible with Windows Vista, and newer. The perfect game for giving away prizes, DigiGames takes the concept of "Who Wants to be a Millionaire" to a whole new level. Unlike the TV show, which is one-on-one, as many as 50 players can play. 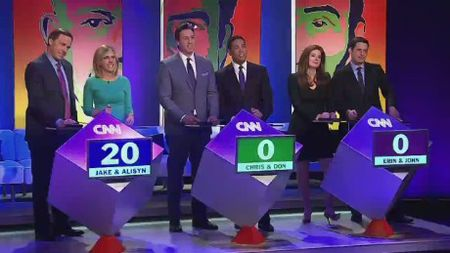 A question appears on the screen with 2-4 multiple choice answers. 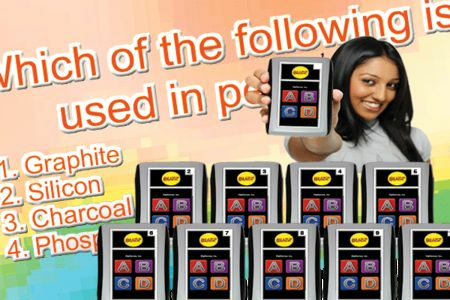 Players buzz in to answer (Fast Finger mode), or use DigiGames ABCD Keypad System to submit their answers (Audience Polling mode). 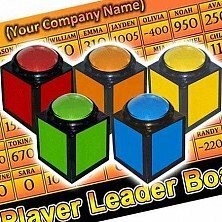 Correct answers move the player up the Prize Ladder. Incorrect answers do not eliminate players, like on TV. The first player to 'climb' to the top of the Prize Ladder is the winner! 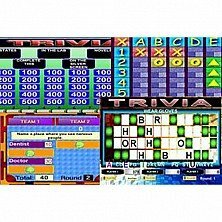 More Details, and Buy Trivia Ladder PRO (New Purchase) Please note: Trivia Ladder Pro is included, at no cost, with certain hardware purchases. 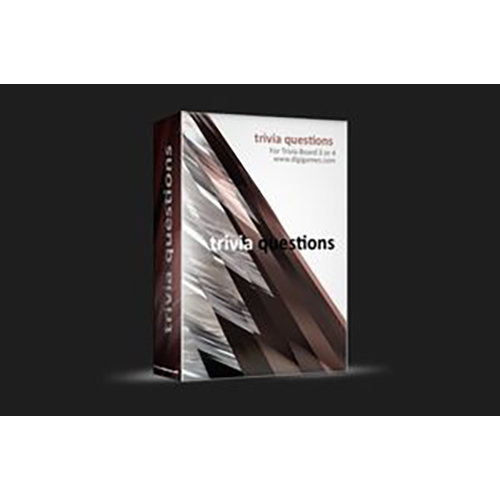 VOLUME 2: Trivia Questions For Trivia Board Pro 3 or 4. More Details, and Buy Talent Hunt (New Purchase) Please note: Trivia Ladder Pro is included, at no cost, with certain hardware purchases. 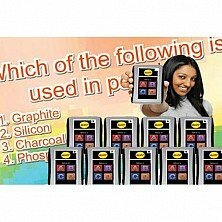 VOLUME 3: Trivia Questions For Trivia Board Pro 3 or 4. VOLUME 4: Trivia Questions For Trivia Board Pro 3 or 4. 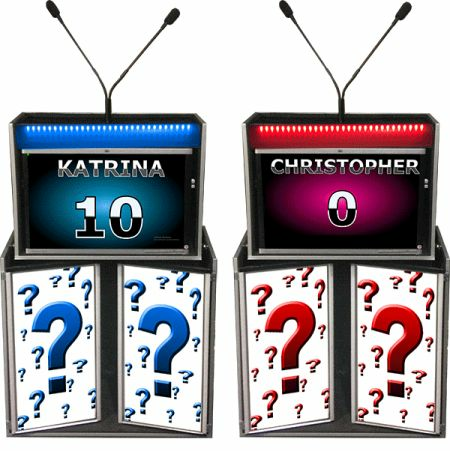 The perfect game for giving away prizes, DigiGames takes the concept of "Who Wants to be a Millionaire" to a whole new level. 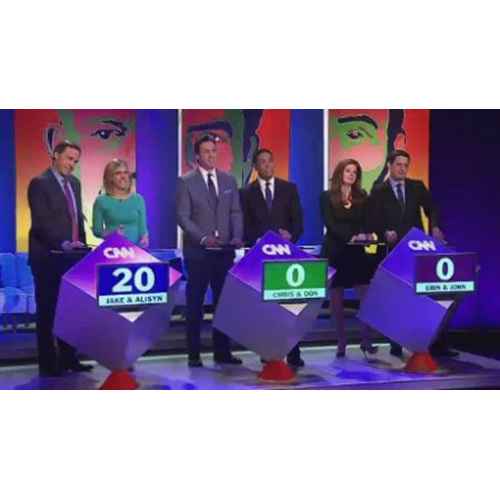 Unlike the TV show, which is one-on-one, as many as 10 players can play. A question appears on the screen with 2-4 multiple choice answers. 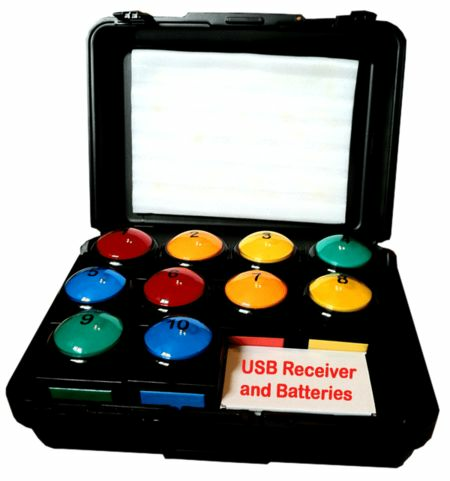 Players buzz in to answer (Fast Finger mode), or use DigiGames ABCD Keypad System to submit their answers (Audience Polling mode). Correct answers move the player up the Prize Ladder. Incorrect answers do not eliminate players, like on TV. The first player to 'climb' to the top of the Prize Ladder is the winner! 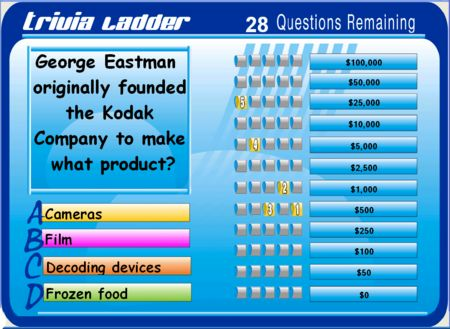 More Details, and Buy Trivia Ladder PRO (New Purchase) Please note: Trivia Ladder is included, at no cost, with certain hardware purchases. Compatible with "Party Pack" of games only. Unlimited licensing, no additional key purchases ever required. VOLUME 6: Trivia Questions For Trivia Board Pro 3 or 4. The ULTIMATE mindless prize-giveaway software game. DigiGames takes the concept of "Deal or No.... (ahem)" to a whole new level. Somewhat similar to the TV show, but with our own spin on the concept, players reserve a case, pick cases, accept or reject banker offers and more. 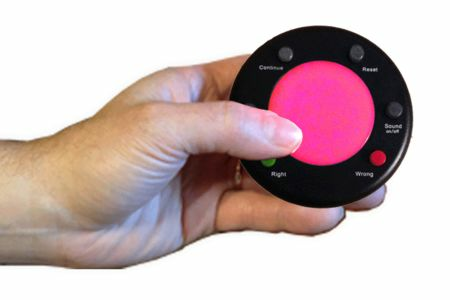 With Take It 'er Leave It, you can do games with a one-on-one player, groups of players, or entire audience. More Details, and Buy Take It 'er Leave It (New Purchase) Please note: Take It 'er Leave It software is included, at no cost, with the "Take It 'er Leave It" hardware system. 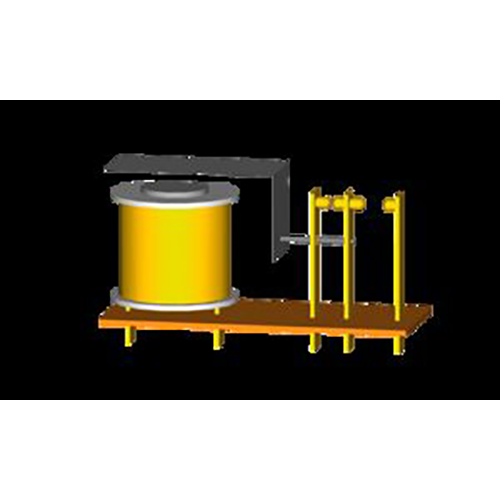 Works with DigiGames' "Take It 'er Leave It" hardware system exclusively. Compatible with Windows XP, and newer. Prize Sweeper - Soon To Come! VOLUME 7-8: Trivia Questions For Trivia Board Pro 3 or 4. 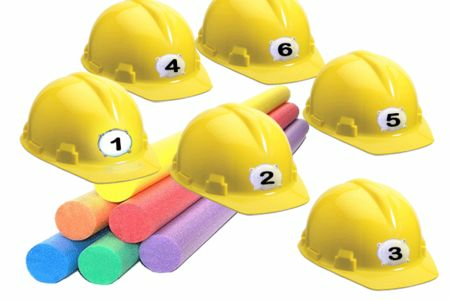 VOLUME 2-6: Trivia Questions For Trivia Board Pro 3 or 4. 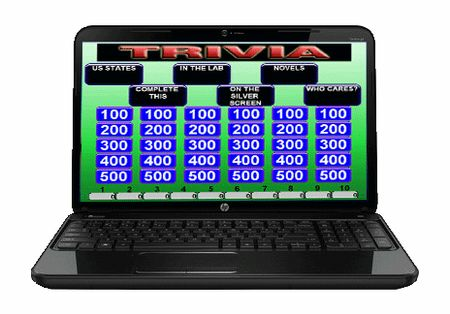 VOLUME 9: Trivia Questions For Trivia Board Pro 4. Audience Poll Pro is the perfect solution for polling the audience to gather surveys, opinions or to simply have people vote on various topics. This program is perfect for educators, trainers, seminar speakers and entertainers. 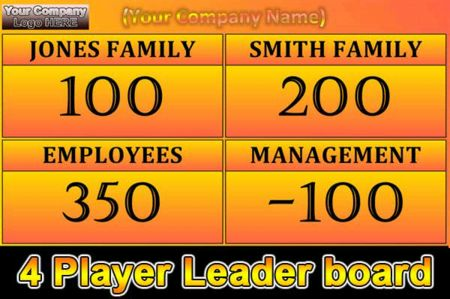 Use Audience Poll Pro as a teaching and learning tool, or toggle the program into "game mode" where participants complete to earn the most points to win the game. 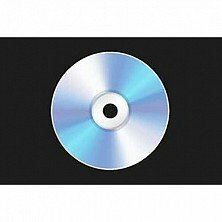 More Details, and Buy Audience Poll Pro (New Purchase) Please note: Audience poll Pro is included, at no cost, with certain hardware purchases. 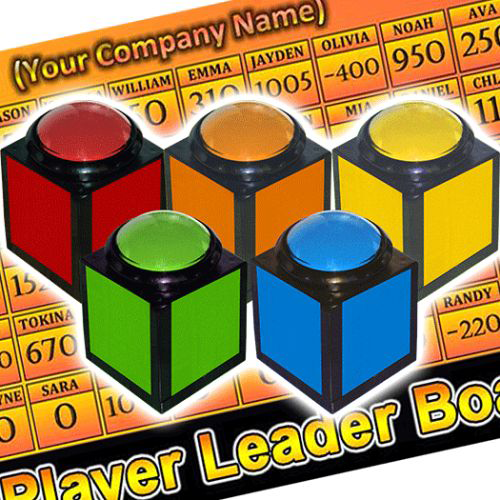 Do you need to perform timer based trivia or physical challenge games? Then Extreme Timer will allow you to do any type of game format where a time limit is involved. 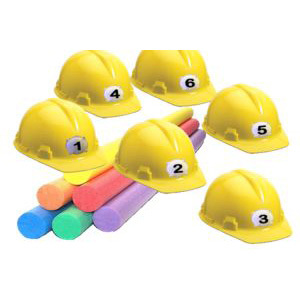 Extreme Timer is perfect for games that involve relay races, Minute to Win It challenges and scavenger hunts. 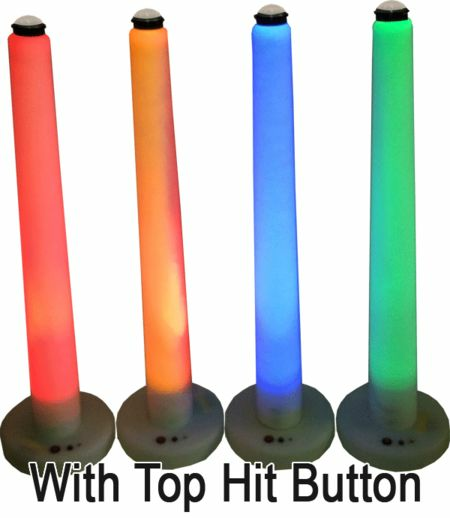 Extreme Timer can work with a single buzzer or up to 50 different game buzzzers. 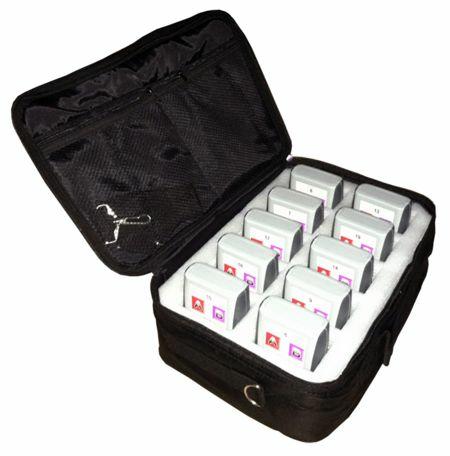 Do you need a count up timer? No problem. Do you need to count down? It's already in there! 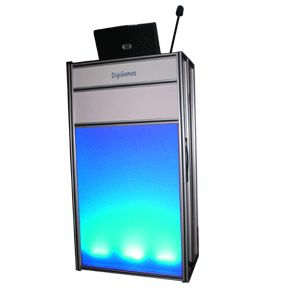 Extreme Timer displays timers to micro seconds and has full-featured customization of sound, effects and graphics options. 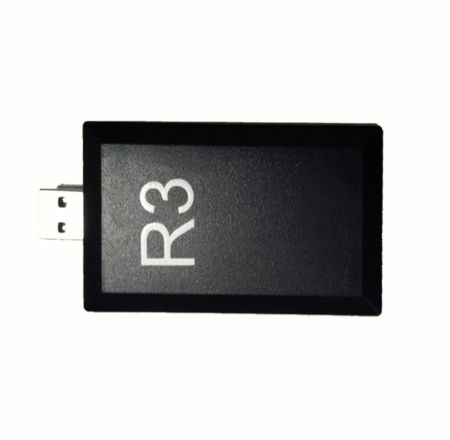 Works with all of DigiGames hardware systems. Compatible with Windows 7, and newer. 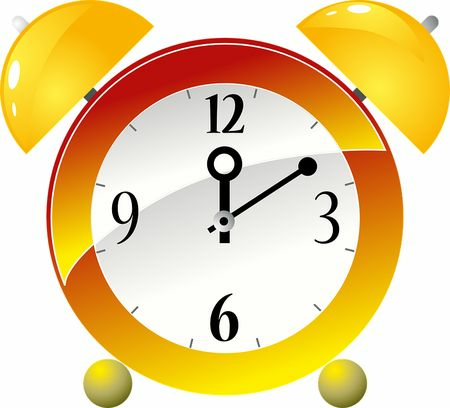 Created by one of our customers, QATI is for QandAtime customers only! 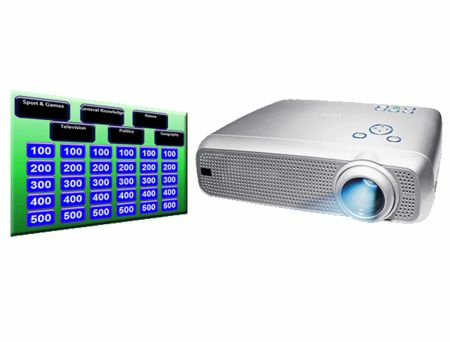 QATI allows QandAtime subscribers to make use of house TV's or a projector screen. With QATI you can show questions, multiple choice answers, pictures, names of the players, scores of the players and much more on external video devices. 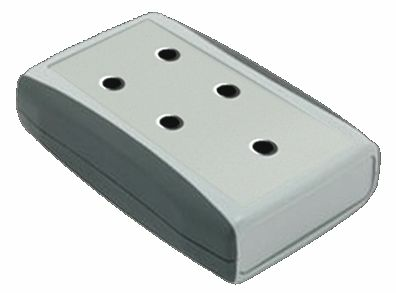 Additionally, QATI allows QandAtime hosts to mix real hardware wireless buzzers with the cellphone virtual buzzers easily. 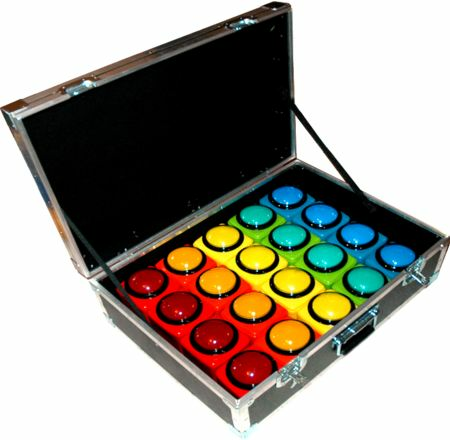 QATI also adds sounds effects to QandAtime to add more pizzaz to any event! Works with QandAtime exclusively. 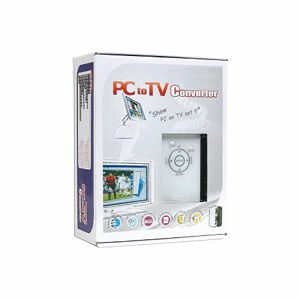 Compatible with Windows Vista, and newer. Are you a programmer? 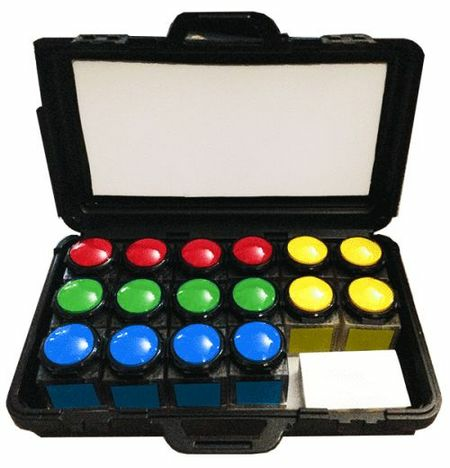 Do you want to write your own software and make it work with DigiGames' buzzer or keypad systems? Then the DigiGames SDK is just for you. 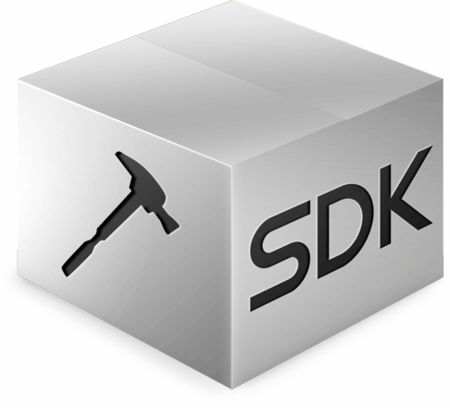 The SDK includes example code in .NET/C# that you can use in your own custom software games. 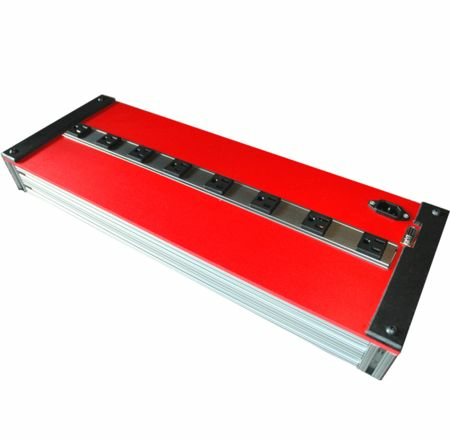 With the SDK you will be able to read buzzer presses, ABCD keypads, and control the output LED to make it turn on, or flash.